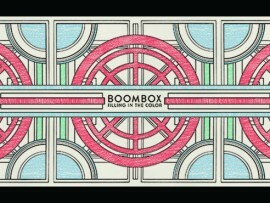 Get BoomBox’s new album, “Filling in the Color”. BoomBox’s first Limited Edition Vinyl release! Vinyl release for “Filling in the Color” also includes CD, a coloring book of conceptualized artwork, and comes with a Free Digital Download of the album for your downloading pleasure immediately! Or, get the CD “Filling in the Color” with a coloring book of conceptualized artwork, and it also comes with a Free Digital Download of the album for your downloading pleasure immediately! The album is also available on iTunes to download now!